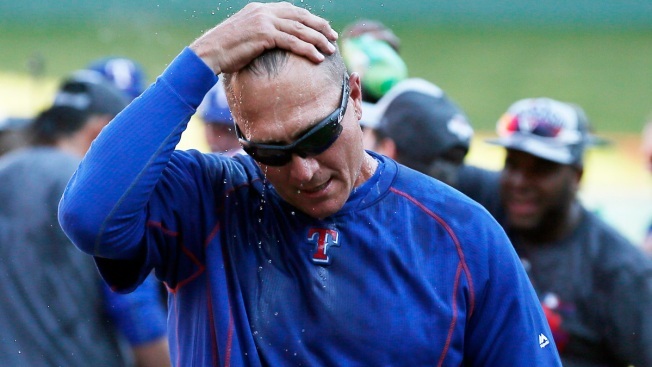 The Texas Rangers went 8-14 in April, lost a 21-5 game in July and had games started by Tommy Field (who? ), Carlos Peguero (really?) and Ryan Strausborger. Yet, there they were on Wednesday with a chance to close out the World Series favorites on their home turf to advance to the American League Championship Series. The Rangers' meteoric climb from afterthought to Wild Card contender to AL West champions in a matter of about six weeks was something to behold, and it changed the expectations around DFW for the 2015 edition of the Rangers, a team that made a move "for the future" at the trade deadline by acquiring Cole Hamels, who pitched well enough — like an ace — in Wednesday's loss. Wednesday was hard, but it was nothing like Game 6 in 2011. This season just felt special from August on, and it was a blast to hop on for the ride. Now, we must wait until 2016, which should be really fun, and we'll be talking more about that in the coming days, but just remember what your expectations were just two months ago and try not to be too shocked and upset that your team is out of the playoffs after losing a winner-take-all game to the best team in the American League.